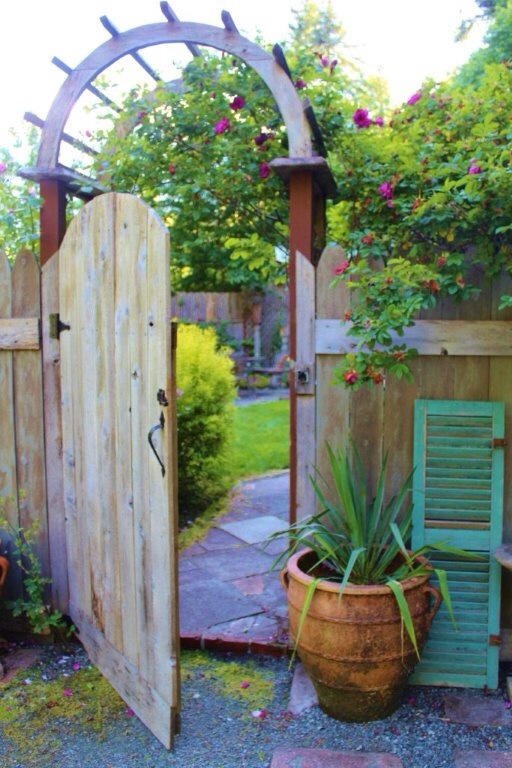 Step through your private garden gate, and enter a world of your own. An entire floor of the manor will be yours, complete with a lush, private English country garden. 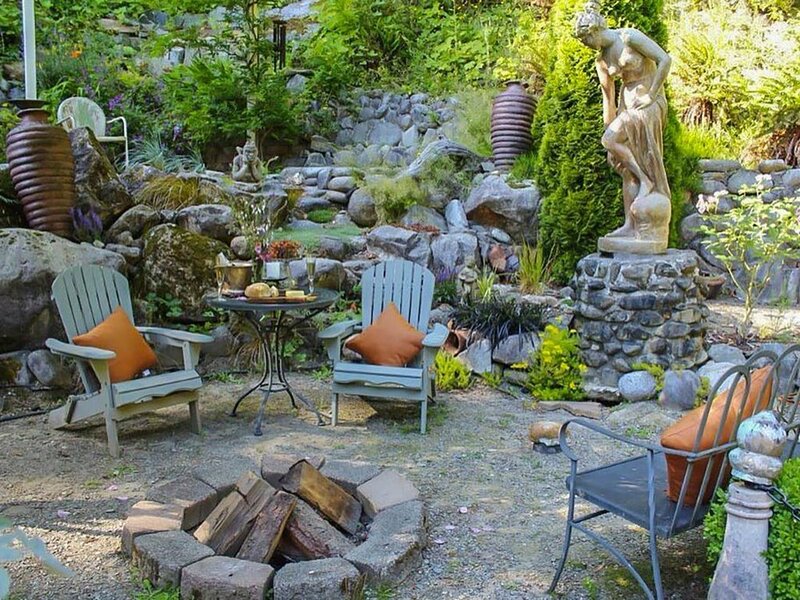 Climbing roses surround your outdoor seating area, brick fireplace, and hot tub. Your formal private entry opens to 850 square feet of European elegance. The decor will take your breath away with a perfect balance of yesterday's charm and today's luxury. Complete with private entrance, kitchen, sitting room, bathroom and sleeping atrium. 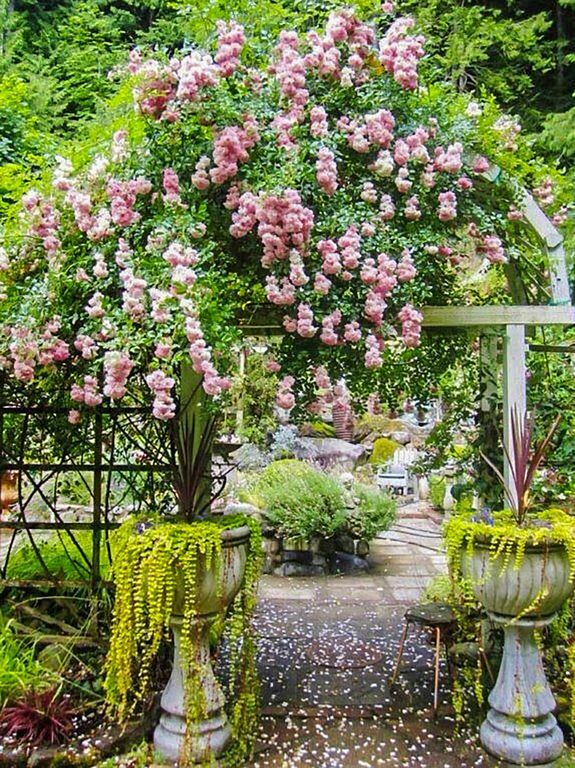 Located at the opposite end of the gardens you will walk through a stunning array of flowers, arbors, and fountains to come to the entrance of a small and cozy cottage. Within' there is a double bed perfect for one or a couple. Making this a perfect weekend away. This little hideaway has its own kitchen and bath. Allowing its guests the ability to stay put for the weekend and enjoy the peace and serenity of the garden and the incredible nature that surrounds.